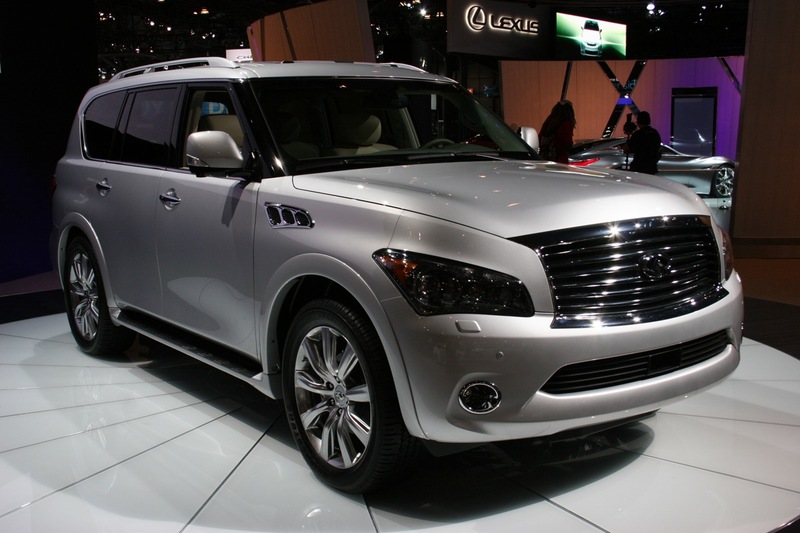 Infiniti’s big reveal was the 2011 QX56. All new but body-on-frame, the new QX has 400 hp from its 5.6 liter V8 and searing for eight (adults, they claim, but I’ll believe it when I see it). 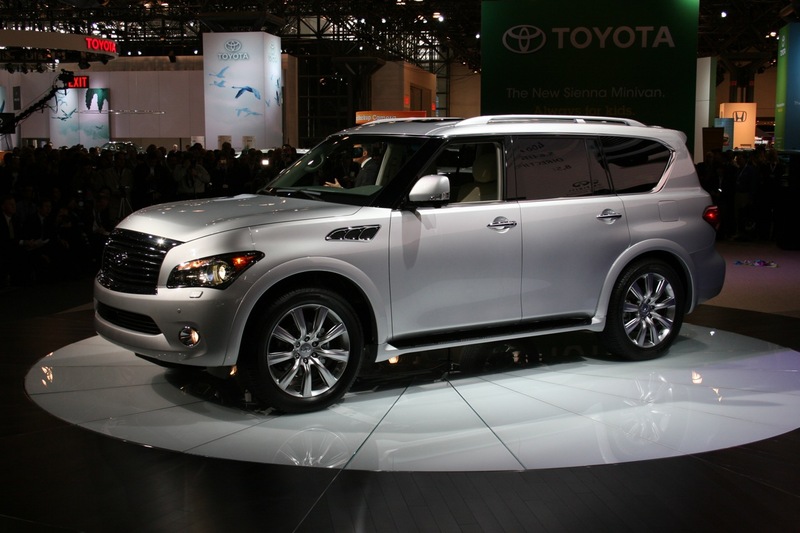 Now you’ll have to take our word for it here since our phone camera and WordPress app don’t like each other very much, but it looks like a Toyota Land Cruiser cross-bred with a Kia Soul (with Infiniti head- and taillamps). Strangely, it works. 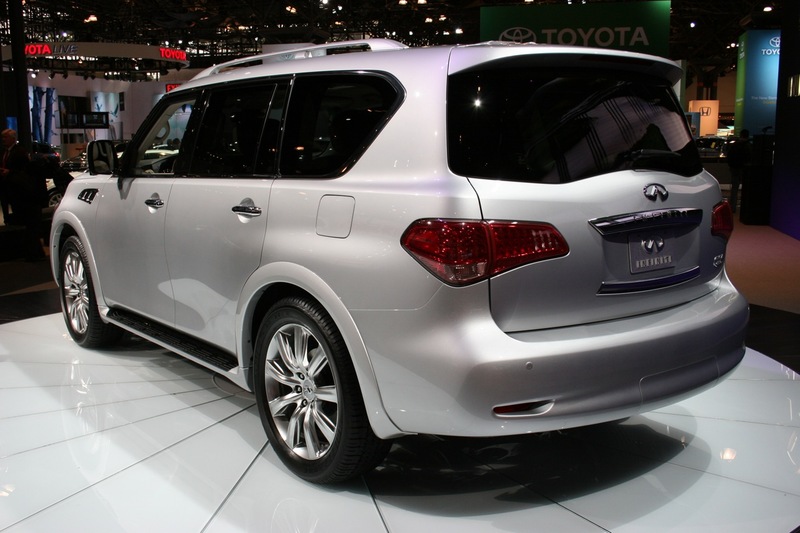 Looks like the Lexus LX570 finally has some competition in the go-on-safari-in-screw-the-middle-class luxury market.